I know we are all reeling right now from this week's news. And hurting. We need to talk to one another and hear each others' perspectives in a healing environment. Not to sweep anything under the rug, but to have an open, honest, and direct conversation. If we disagree, let's have respectful disagreement. But mostly, we need to listen. And I'm sure you have a lot to say. I invite the entire community — anyone I represent in the General Assembly (and your neighbors, if they want to come, too) — to join us. As we listen and learn from one another. I'll certainly be willing to share my perspective, but first I need to listen to you. I want to know what you're thinking. Please join us! With tremendous sorrow, I have called for the resignation of Lt. Governor Justin Fairfax. I waited until I could review the evidence. I have now, and it's compelling. I've reviewed the devastating account of Ms. Watson, which is corroborated by several sources who say she shared the account with them both contemporaneously and recently. The conduct described is similar to what Dr. Tyson has said happened to her. While I do not yet believe these accounts prove guilt beyond a reasonable doubt (the criminal standard), I do believe we must hold our leaders to a higher standard, and I think it would be best for the Commonwealth of Virginia if Lieutenant Governor Justin Fairfax resigned. This is all moving very, very fast. And I am certainly willing to review any additional evidence I can find. But everything I've read seems to me credible and very disturbing. I should additionally note that I have not called for the resignation of Attorney General Mark Herring, despite my strong disapproval of his conduct at age 19. Herring's voluntary admission of his blackface representation of a rapper, his lack of racist intent, and his profound apology all seem sincere to me. However, I do think the Republican Majority Leader Tommy Norment should resign for his conduct as top editor of his extremely racist college yearbook that "included several photographs of students in blackface as well as racist slurs." I work for you and I need to hear from you. I invite everyone to come to my Listening Session Sunday from 4-6 pm at Third Baptist Church in Old Town Alexandria to discuss all of this. See notice above. This is all pretty overwhelming. I'm doing the best I can with the evidence I have before me at this time. Ultimately, I just want to serve you. So please come to the Sunday Listening Session whether you agree or disagree with any of my calls on this. And, for the record, I have never worn blackface nor sexually assaulted anyone. If you are a Virginian who believes in progressive values, it's only logical you're down and out this week. But I urge you not to join those very few who have given up the fight. If you canvassed or contributed, made phone calls, and/or voted for Democrats in 2017, I know it wasn't because you believed in the perfection of our elected leaders. You did it because you believed in the progressive vision of Virginia's Democratic Party. That vision continues, whatever happens with our state leaders. I'm proud to be one of 48 strong progressive leaders in the House Democratic Caucus.With just a few more members elected this November, we can do all the things you want us to do: pass the ERA, raise the minimum wage, safeguard civil rights, improve education, lower the price of healthcare while increasing access, look out for struggling families, enhance transportation, defend democracy and the right to vote, preserve the environment, fight climate change, increase affordable housing, bring transparency to Government, and reduce the threat of gun violence. If you're a Democrat, now is not the time to give up. This November, we are on the cusp of giving Virginia a ruling progressive majority for the first time in 400 years. Without at all defending the actions of any one individual, I can safety assure you that our Democratic vision is alive and well, no matter who leads us. We in the General Assembly fight for it every day. To make our joint vision a Virginia reality. Fairfax Republican Delegate Tim Hugo's HB2529 aimed to take the Trump Tax Increases on Virginia's poor and middle class and give those proceeds to Virginia's richest taxpayers. As Delegate Vivian Watts showed with her charts in the House Floor debate, 40% of the Trump Tax Increase is borne by Virginians earning under $50,000 a year. But they would have gotten only 15% of the proceeds under Hugo's reverse Robin Hood bill. Delegate Vivian Watts explaining the inequity in Hugo's HB2529. I spoke against this bill on the House Floor earlier this week, challenging Republicans' claims that their bill benefits the hardest working Virginians. Do you know any teachers who have foreign source intangible income of controlled foreign corporations? I sure don't. Do any of the firefighters at your fire station have money in tax shelters? Almost certainly not. This bill was nothing more than a guise, and it would have forced those who most need tax breaks to have their taxes increase so that the most wealthy Virginians could hide their income in tax shelters. Click on the image above to watch me challenge the Hugo Tax Bill on the House Floor. The original Republican plan was to double down on the Trump Tax Plan and give $500 million — that's right, half a billion dollars! — primarily to the wealthiest Virginians who had already benefited from Trump's giveaway. But we Democrats persisted. In all other years, "tax conformity" has passed easily. That's the bill that conforms state tax law with federal tax law; it's what allows Virginians to file their taxes every year in the spring. But because "tax conformity", unlike most bills, would have to go into effect right away (prior to July 1, when Virginia laws normally go into effect). the bill requires an "emergency clause" and 80 votes to become law. We Democrats stood firm in our demands that Virginians be able to file their taxes right away, and we would not agree to give the Republicans the 80 votes they needed to foist their reverse Robin-Hood tax scheme upon us. If Republicans would not give us a "clean" tax conformity bill to allow Virginians file their taxes, we would just hold out until they did. Well, they did. Late Thursday, we reached a compromise that was much, much closer to the Democratic vision than the original Republican plan. Instead of sending most of the money to Virginians who had already profited under the Trump scheme, $420 million of the $500 million increase in Trump taxes would be refunded to taxpayers via a 50% ($1500) increase in the standard deduction and a one-time payment of $110 to every single taxpayer. By ensuring that, for the most part, equal benefits go to every voter, we turned the scheme around: we made sure that middle-class and working-class voters got much greater proportional benefits. The remaining $80 million will be kept safely in reserve. Every struggling family should be grateful for our Democratic vision and persistence. We've kept our nose to the grindstone and had a great success. Even in the midst of the hullabaloo around us, we worked hard to serve you and your values. Just because we won the tax battle does not mean our disagreements over where to invest Virginia's resources are all resolved. In a long session on Thursday, Republicans proposed to cut funding for important programs like local stormwater, land conservation, eviction legal assistance, census outreach, pre-school enrollment, Virginia retirement system, and mental health programs. We Democrats supported these programs. The Republican budget would also have cut $15 million from financial aid for higher education, on which so many students and families rely. And worst of all, Republicans voted to dramatically cut 75% of funding for affordable housing, which is all the more important now with the Amazon deal. While the House Republicans' version of the budget would have increased teacher's salaries, it would only be half as much as the 5% increase proposed by the Governor. I proudly voted against this version of the budget. This is only the first round in negotiation, of course. 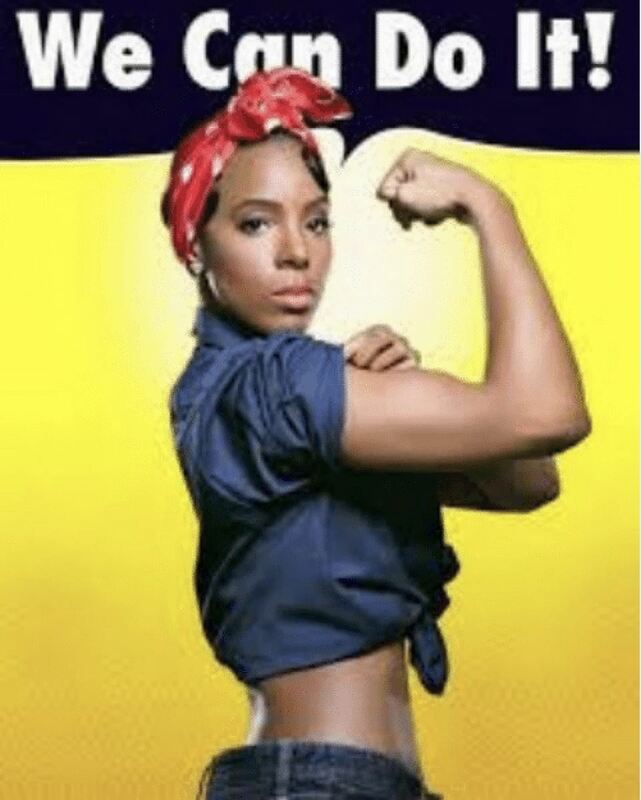 But we can do much better. As I wrote last week, my HB2421 bill would have comprehensively banned discrimination on the basis of sexual orientation and gender identity in employment, housing, public accommodations, banking, insurance, apprenticeships, and every other place I could find in the Code of Virginia. The bill was referred from committee to another, pushed around like a hot potato. This was a new tactic by Republicans: to ensure bigotry will be protected without ever having to vote on the issue. Because no House Republicans actually support Rainbow rights enough to force a Floor vote, the Republican Leadership just made sure the bills would never be heard at all in any committee, even though a majority in both House and Senate and in the important committees said they believed in equality under the law. 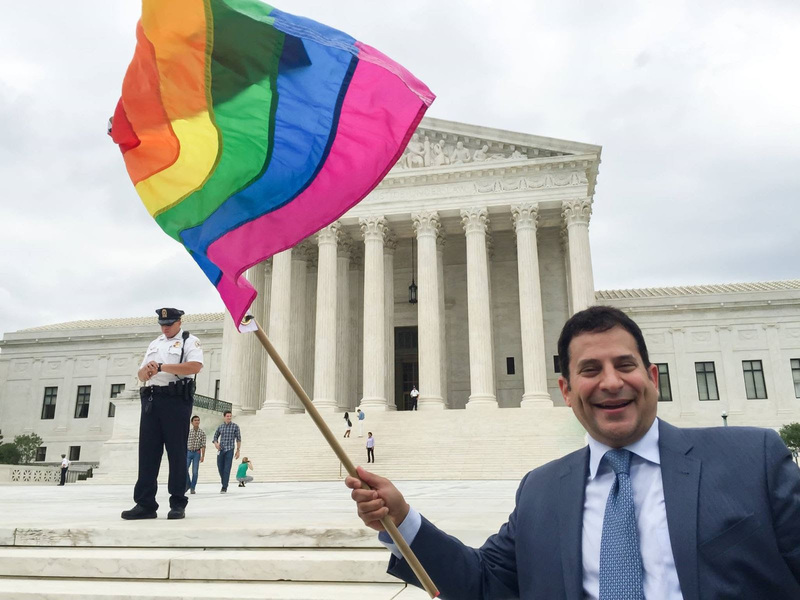 This failed strategy makes clear: gay, lesbian, bisexual, and transgender Virginians will never be given equality under the law as long as Republicans remain in control of the Virginia Legislature. It really doesn't matter how many Republican delegates say they care about non-discrimination. Their most important gay-rights vote is for Speaker of the House. And every House Republican, by this vote, defends anti-gay, anti-trans bigotry. And to prove that, I re-introduced my budget amendment on the House Floor that would simply reiterate that we agree with the Governor's ban on discrimination in Virginia jobs. 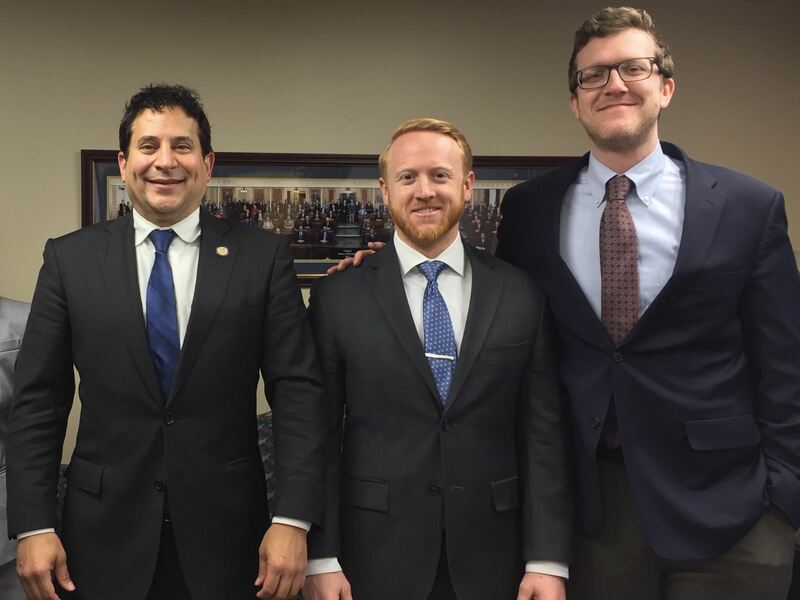 This forced House Republicans — especially those who claimed to endorse anti-discrimination legislation this year — to publicly make their position known. Did they just claim to support the legislation in order to appease their LGBT constituents knowing the bills would never come up for a vote? Or do they really support banning bigotry? Are they more interested in their loyalty to their party or in doing the right thing? Click on the above image to watch the presentation of my anti-discrimination budget amendment. As I predicted, every single Republicans who pretended to care about LGBT rights in talks with Equality Virginia and their gay-friendly constituents flip flopped to support bigotry by opposing my amendment on the Floor. The House voted 51-48 (along party lines) for bigotry and discrimination to kill ("pass by indefinitely") my budget amendment. Don't let them fool ya! The only way to win LGBT rights in Virginia is to vote Republicans out of the Virginia House of Delegates. With this vote, those who pretend to care showed their true colors. And we must demand that Equality Virginia never endorse a Delegate who claims to believe in LGBT Equality but still refuses to ever cast a vote for us. Bipartisanship works on some issues. But when it comes to anti-gay bigotry, Virginia House Republicans are united: they support it. HB2642 would make it a felony to use cruelty toward animals to coerce, intimidate, or harass a household or family member. This week the bill passed through the Floor of the House of Delegates during Tuesday's "votearama." HB2425 would require Virginia's hospitals, doctors, and other healthcare providers to report to the Virginia Department of Health infections and other diseases contracted in their settings. The bill passed unanimously through the Floor of the House of Delegates on "Votearama Tuesday" and is on its way to the Senate. Click on the image above to watch my presentation of HB2425 on the House Floor. You may remember my bill HB2650 to allow courts to consider domestic violence or child abuse when determining the best interests of children in custody disputes. Although that bill failed in the House, Senator Scott Surovell, with my guidance, introduced SB1757, which covers child abuse but not domestic violence. That bill has now cleared the Senate, and I will work to champion it in the House. Although I will continue to fight in the future for courts to look at both domestic violence and child abuse, I've long recognized that the perfect should never be the enemy of the good. If Senator Surovell's watered-down version of my bill passes the House this year, the new law will still help Virginia's children by protecting them from child abusers in 2019. Then, next year, I'll renew my long-running efforts to also protect children from perpetrators of domestic violence. HealthCare Transparency Bill, preserved it to live another day. But working with my friend, Republican Senator Amanda Chase, co-founder of the Virginia Transparency Caucus with me, she introduced the bill as SB1004 in the Senate where it passed. It's going to take some work to get this bill through the House where it died, but I'm already at work on it. When the Chairman of the Health, Welfare, and Institutions Committee tried to kill the heart of the bill (the health-care estimates) last Thursday, my objection preserved the bill's viability for another day. In legislating, as important as it is to write and advocate for important new laws, it is equally vital — if far less glamorous — to carefully examine legislation to find concealed flaws, bring those flaws to light, and ultimately block bills that would harm the people of Virginia. In my four years of service here, I have often played the informal role of "Caucus Goalie," and new Minority Leader Eileen Filler-Corn has promoted me to Deputy Whip as a result of my hard work. I caught another bill this week trying to quietly sneak its way through amidst the Crossover madness. Delegate Jeff Campbell's HB1947 revised the law against making false bomb threats to schools to give a mandatory minimum to perpetrators. I have little sympathy for adults who make false bomb threats, and I agreed with that aspect of the legislation. But even if I agree with the general purpose of a bill, I cannot ignore its flaws. And the bill's most serious flaw was its requiring a mandatory confinement for any person making such a threat — including an 11-14 year-old child! That went too far for me. An 11-year-old who utters a bomb joke to his friend — no matter how unfunny and misguided it might be — may well necessitate school discipline. But this bill would place such child in lockup for at least 3-4 weeks. That could devastate someone that young. Click on the image above to watch me challenge Delegate Campbell's bill. "Crossover" is that special deadline in the General Assembly calendar when all bills (except the Budget and commending resolutions) must pass their respective chambers or be defeated for the year. It is always on a Tuesday just after the middle week of session. Last Monday, the Monday of Crossover, is always the longest day of session, because it's the final day to describe and amend a bill introduced by a Member of the House of Delegates in 2019. On Monday, we voted on or discussed 316 substantive bills. (This total does not include commending or memorial resolutions.) We started with budget discussions at 7 am and caucus at 8 am and didn't finish on the House Floor until well after 7pm. The next day was Votearama Tuesday. We voted on 212 bills. At the end of the day, I was definitely tired! Meanwhile, those two days, news broke of allegations involving the Lieutenant Governor. But I knew my primary responsibility to you, my constituents, was to study each and every one of those bills to be sure I cast the right vote. I'm not sure all of us were as excited about "Votearama Tuesday" as I was. The next two days of last week, we considered the budget. Now there are only two weeks left of this very short session. In those last two weeks, we will focus on bills that passed the Senate. Our last day of session is Saturday, February 24, and I will hold my traditional Monthly Meetup on Sunday February 25 (Los Tios at 4 pm)where I'll give you my final analysis in person on how everything went. In Session, every day seems like a week. A week seems like a month. And a month seems like a year. We're more than halfway done now. And it seems like we began ages ago. Curious about how the whole process looks? Read on below for an insider's perspective of Crossover from my Legislative Counsel, Snapper Tams. On Monday, the longest day of Session for Members of the House of Delegates, 316 bills were up for consideration. This included 104 bills to be voted on and another 212 bills to be vigorously debated in anticipation of a vote the following day. Most of these bills came out of committee uncontested (with not even so much as an “abstention” vote). Often, these bills can be technical fixes to an existing statute, a proposed change very narrow in scope (perhaps limited to a specific locality), or something widely believed to be good with little to no downside (i.e. Delegate Levine's bill to protect animals while preventing domestic abuse). Sometimes, however, a bill that looks harmless can be quite the opposite. And because the uncontested docket gets less scrutiny, Mark insists it is equally — if not more — important to thoroughly review these bills and consider their implications. 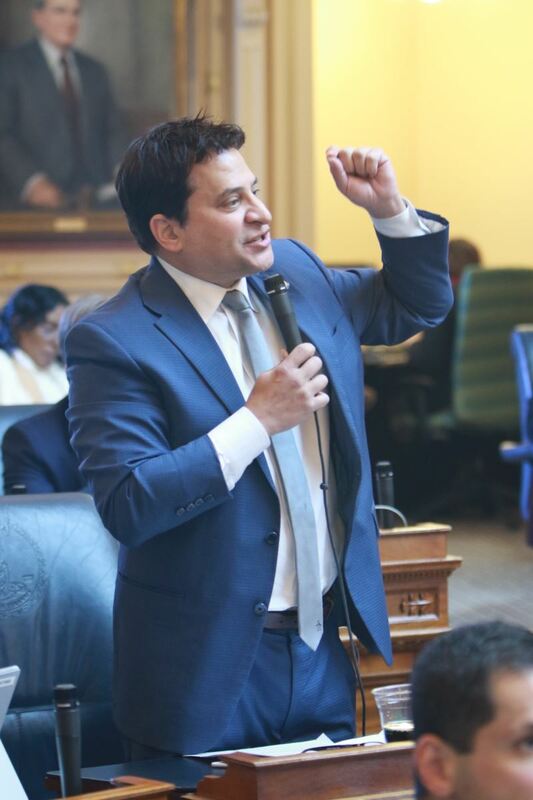 The preparation for Crossover began well before “Votearama Tuesday.” Here is how we implemented Delegate Levine's step-by-step guide to not miss a beat while barreling toward Crossover. 316 bills doesn’t just sound daunting; it feels daunting. We cleared the calendar and started working to complete any time-sensitive assignments a week in advance. The first review of any bill Mark will vote on starts with us, his staff. We review the bill to learn the current law, recognize the changes this bill proposes, and understand the benefits — or issues — this bill would yield if it passed. When reviewing any piece of legislation, whether coming up for a Floor vote or before a committee, our objective is to compile as much information as we can to help Delegate Levine make an informed vote. We must consider the current applicable law, the bill as introduced, any amendments that have been made to the bill, the fiscal impact that the bill would have, any alternatives that would more effectively accomplish the same goals, and — perhaps most importantly — the (sometimes easily ignored or unseen) collateral consequences this bill might have. Once we have analyzed these bills, we write comments on each and submit them to Mark for review. Delegate Levine reviewing and discussing bills after 10pm on the eve of "Votearama Tuesday"
Delegate Levine then goes through the calendar, personally reviewing the full agenda. Every. Single. Bill. There may be another Member of the House of Delegates who reviews every piece of legislation as thoroughly as Mark does, but if so, I haven’t met them. The uncontested calendar, an afterthought and wholly ignored by some, gets the most scrutiny from our office. 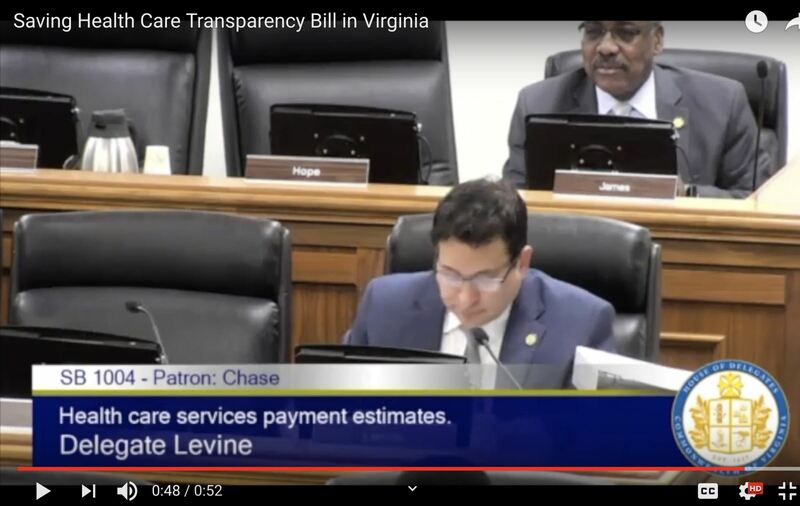 After examining each bill and our comments on them, Delegate Levine then works with us to go through every bill that is complicated or that he otherwise finds problematic. Sometimes our conversation can ease concerns he has about a bill; for others, it sparks more questions. I called DCJS and asked for the agency’s thoughts on the bill. No official position. I included that in my review and submitted it to Delegate Levine. During our review discussion, he asked how many part-time investigators there were in the Virginia Lottery security division. So I called the Virginia Lottery to get the answer directly from them. One single part-time investigator, working with seven full-time investigators. This bill, and all of this research, was all about one person — to fit that one single investigator under the DCJS definition of “law enforcement officer.” Still, we needed more information to make an informed vote, no matter that it came out of not one but two committees uncontested. “What does the part-timer do?” he asked. So I placed a second call to the Virginia Lottery. Turns out, because the part-time investigator doesn’t fit within the criteria of the DCJS definition of law enforcement officer (it only specifies that full-time employees are considered law enforcement officers), the part-time officer was ineligible for training programs offered by DCJS, and subsequently unable to conduct important functions — including acquisition of security footage when investigating retailer fraud. This bill turned out to be reasonable, but not every bill is. We have to apply this level of scrutiny to every bill that our office reviews. Even the most minor grammatical change can yield significant implications. 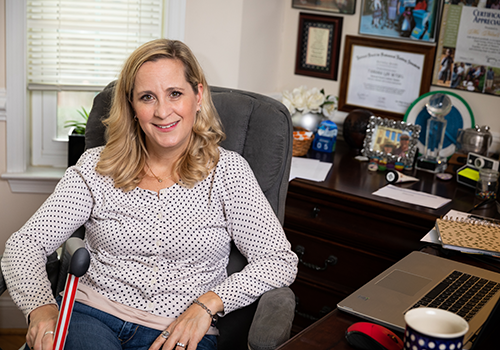 We discuss most bills with relative ease and expedience, simply going through the agenda and answering any lingering or follow-up questions Delegate Levine might have. But some discussions turn into full debates weighing benefits against consequences and considering better avenues of achieving the same goal. The best debates are are when Delegate Levine is on the fence about how to vote on a bill, and Jacob (our Chief of Staff) and I disagree with each other. We’ll go back and forth presenting our arguments to Delegate Levine, who plays both judge and Devil’s Advocate, pushing back against our positions. Delegate Levine certainly doesn’t shy away from debate — and he’s built a team around him that matches his enthusiasm for it. We're still smiling so this picture must have been before we got into the thick of the 316 bills to analyze! As part of the process of researching, reviewing, discussing, debating, and re-researching each and every bill, Delegate Levine reads your emails and listens to your voicemails. This process of incorporating your voice is time-consuming, but it is incredibly important to him that he understands how you feel about proposed legislation. Perhaps unsurprisingly, he agrees with you more often than not. But when he doesn’t, he very carefully considers your points as to why you would have him support or oppose the legislation. This often requires more research, more input, and more perspectives. But all of this helps to guarantee that he makes an informed vote. I’ve seen and discussed bills where your position and points have been enough to sway Delegate Levine’s vote. The House Chamber just before the beginning of "Votearama Tuesday"
Finally, he votes. At 10am on Tuesday, the House convened and the voting frenzy began. Just three short hours later, 212 bills were either passed by majority vote to the Senate or sent crashing back, officially dead for 2019. By 1pm, “Votearama Tuesday” had ended and Crossover had passed. 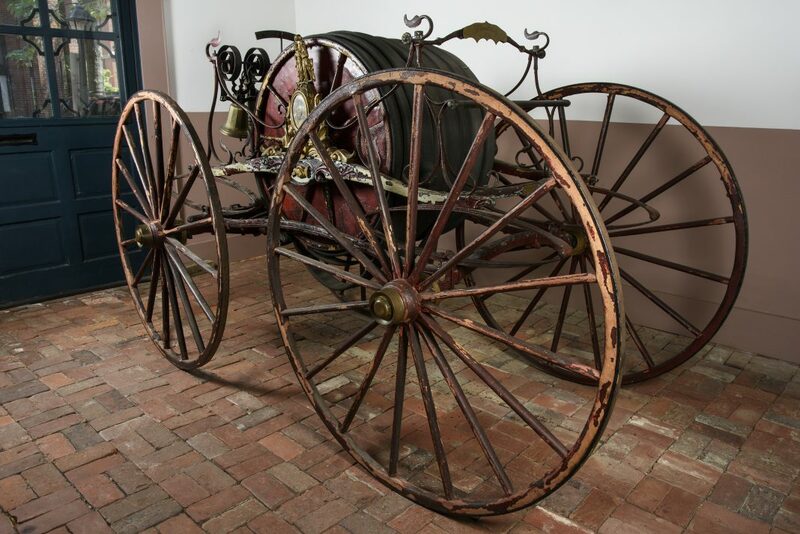 1816 Fire Carriage - Alexandria's Winning Artifact! No matter how busy it gets, it's always really important for me to set aside some time to chat with those of you who stop by my office, whether you're advocating on behalf of a particular cause or a constituent stopping in to say hello. Now that we've passed Crossover, the busiest time of the year is over. While I'll still have plenty of meetings and Committees to attend, I'll have far fewer of those than I've had since the start of the year. What that means is that I'll have lots more time for visitors! Please stop by and place your residence on our map of the district! to give them advice on how to best advocate for passage of our joint priorities. Come visit me to see it! Finally, I want to thank Tamara Netzel for her brave and persuasive testimony this week. Tamara is a constituent, and she spoke on two bills relating to CBD oils for treatment of multiple sclerosis. Both bills narrowly passed through the Health, Welfare, and Institutions Subcommittee on which I sit. Testimony is critical to helping us understand bills, and her explanation enabled the bills to pass by a vote of 4-2 and 5-1. (I voted for them both, of course.) Thank you, Tamara, for coming all the way down to advocate on behalf of such an important issue!